This is the first review of the year of golden rooster such that I shall begin my review with my to-go omakase place. 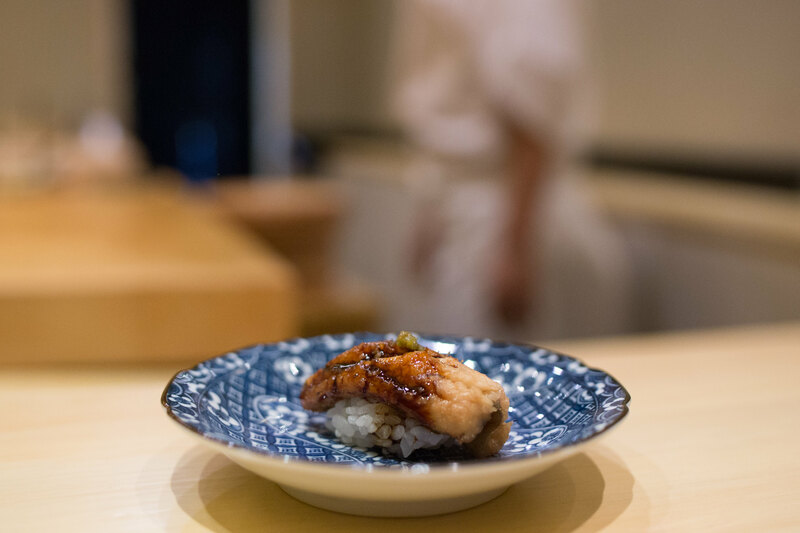 In this year, sushi game in Bangkok is quite challenging since the massive success of Sushi Masato requiring booking almost half-year in advance to secure the seats. 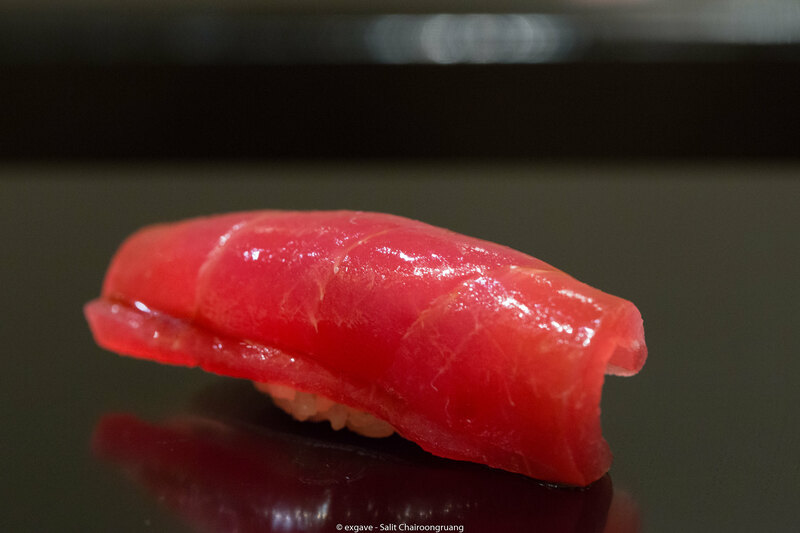 After a year, Sushi Zo, yes from USA again, has arrived in Bangkok. 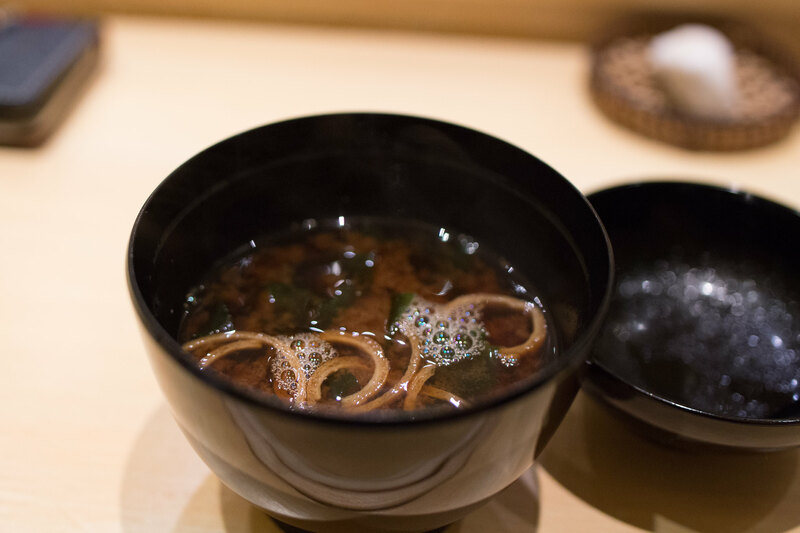 I would say Sushi Zo is not my cup of tea; it’s not a traditional Edomae style. But let put that aside. 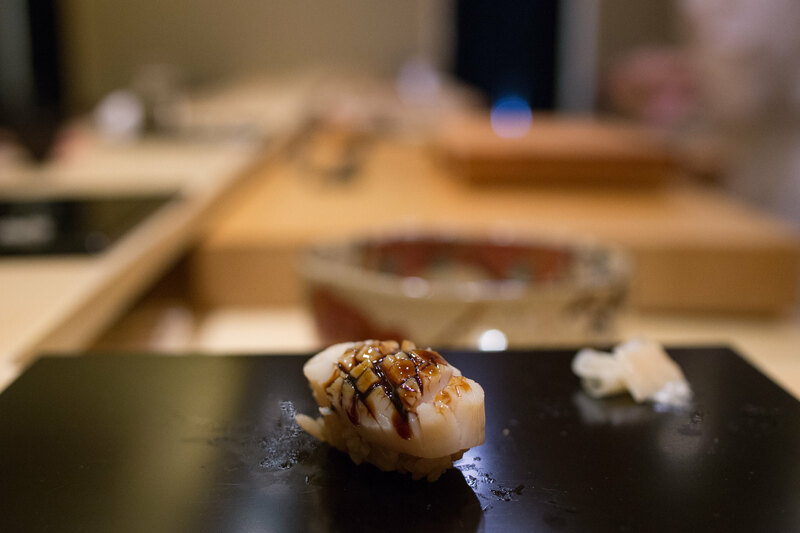 The restaurant I’m gonna talk about today is restaurant I fall in love lately, Sushi Misaki. A tiny hidden gem in Rainhill running by Masahiro Misaki-san, ex-itamae at Nippon Tei, is the best sushiya so far in Bangkok in my humble opinion. As expected, all ingredients are imported directly from Japan. 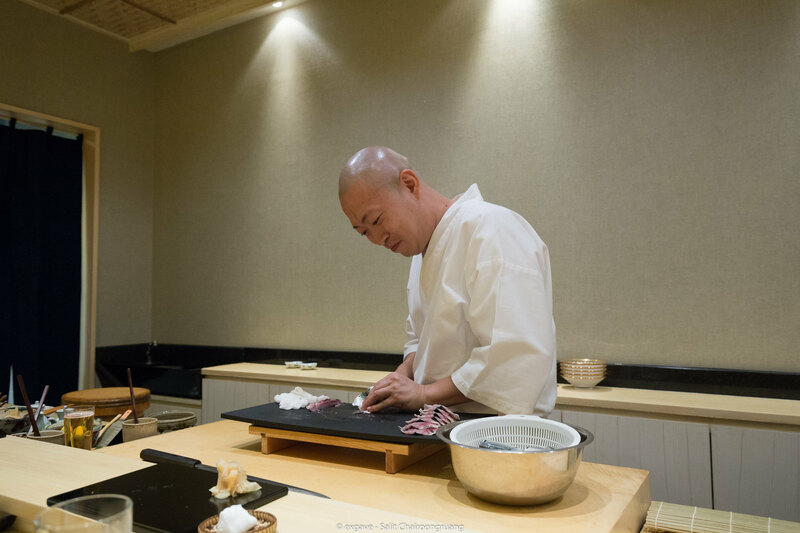 Early this year, Sushi Misaki has a new chef to design non-sushi courses who used to work at a Michelin-starred Kaiseki restaurant in Japan. Interior was decorated in Zen style presenting a sense of calm. 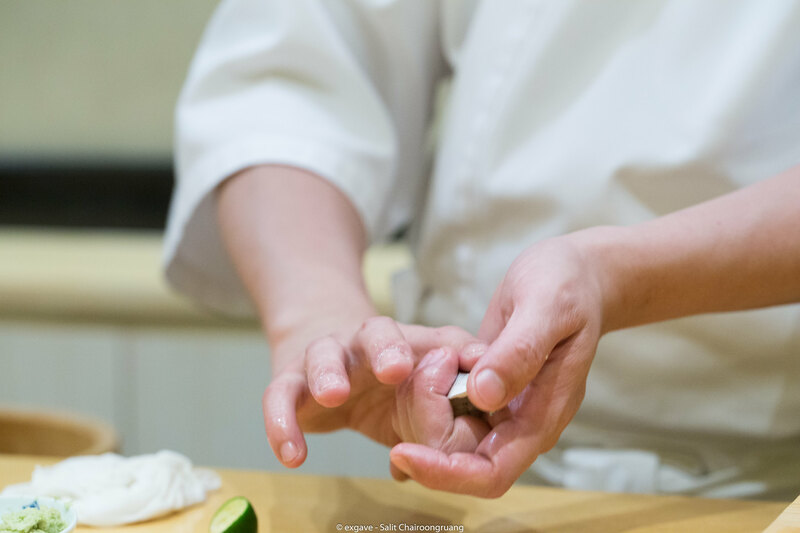 There are only 3 staffs in the restaurant including Misaki-san himself, one chef and one waitress but the service is still running smoothly every time I visit there. Speaking of Misaki-san, he is talented, opened-mind and super friendly. He may not speak a perfect English but it’s sure enough to continue a conversion. Now let’s talk about the food. In this review, I will go through dishes very roughly since my eating habit has been changing. I tend to appreciate the moment and talk with my friends more, and jotting down the details about the dish less. Now Sushi Misaki offers you 2 options: 4000++ THB and 6000++ THB Omakase. 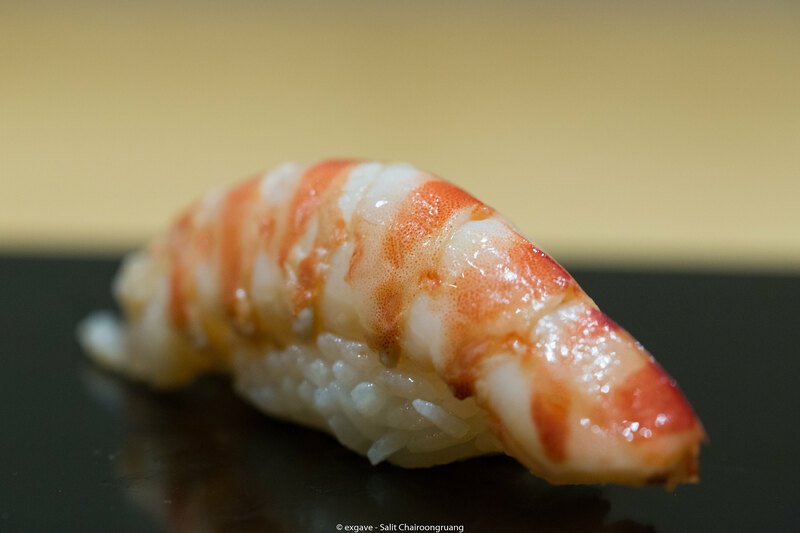 I was informed that both courses are the same number of nigiri but there will be better fish quality more appetizers, and desserts than the 4000++ course. For tonight, I go for 4000++ course including 1-2 appetizers, ~12 nigiri, toro temaki, tamagoyaki and dessert to finish. All appetizers were savoury and deliciously beautiful. 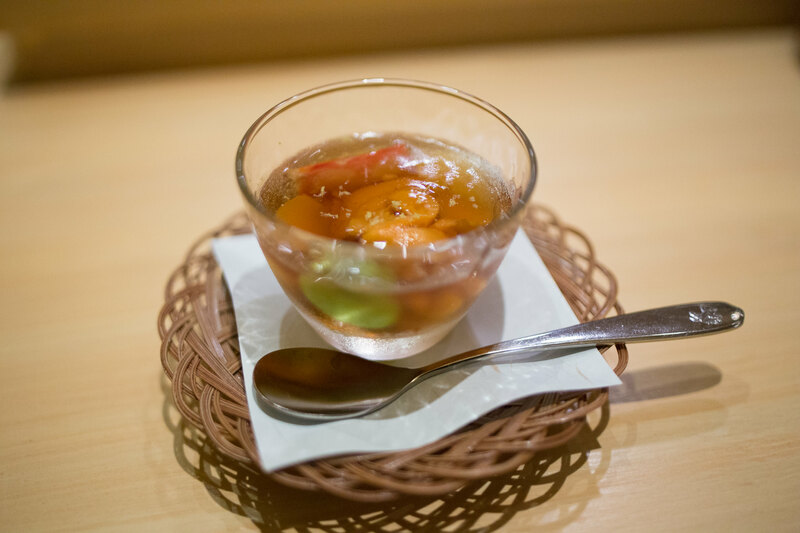 Especially, the uni, kani and bean in jelly consommé was very outstanding on that night. 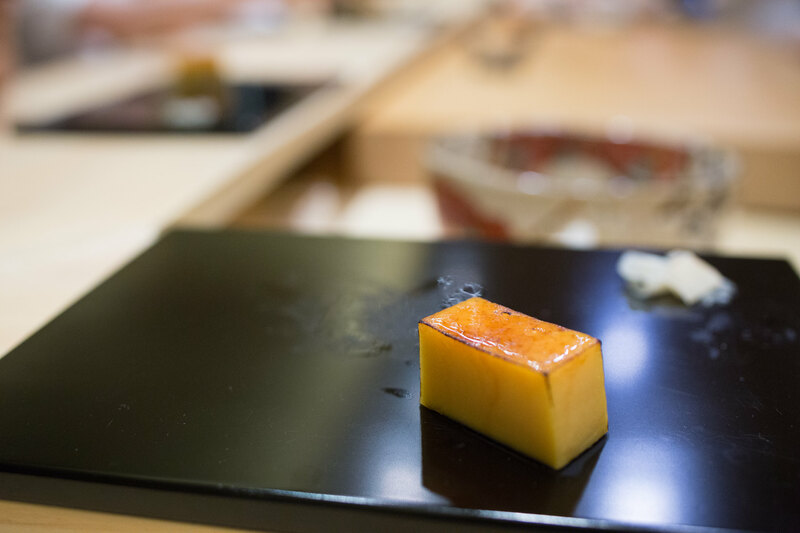 The lightness of the jelly balanced out the creaminess and richness of uni fabulously. Beans just gave another dimension of texture to dish which was very enjoyable. 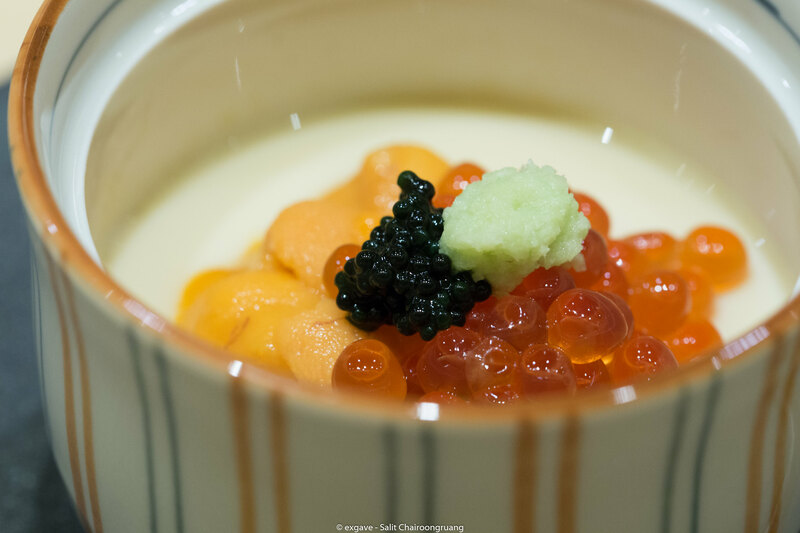 Chawanmushi with uni, ikura and caviar was also elegantly delicious. Now let’s commencing the main course! I must apologize that I forgot to write some of the neta. So, in this occasion, I will go through only pieces I remembered the name. 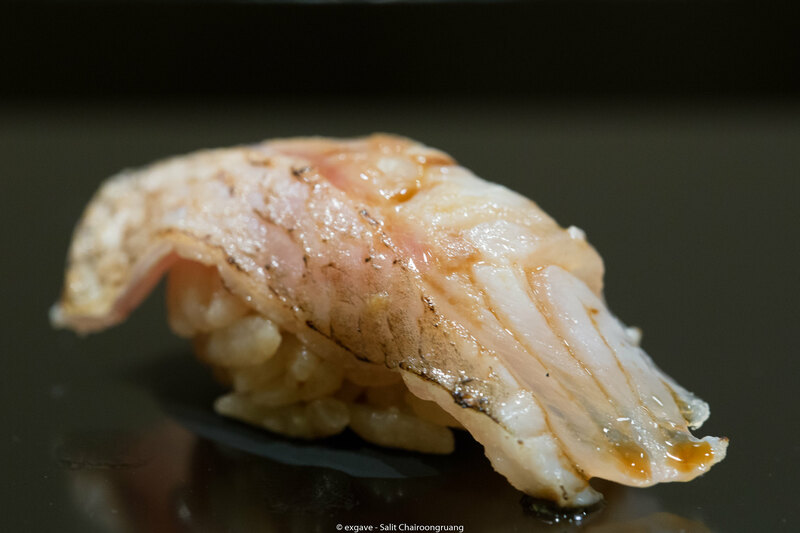 Forgot to mention, Misaki-san style won’t serve the nigiri from a light taste piece to strong ones. This might confuse your palate but believe me, it works. 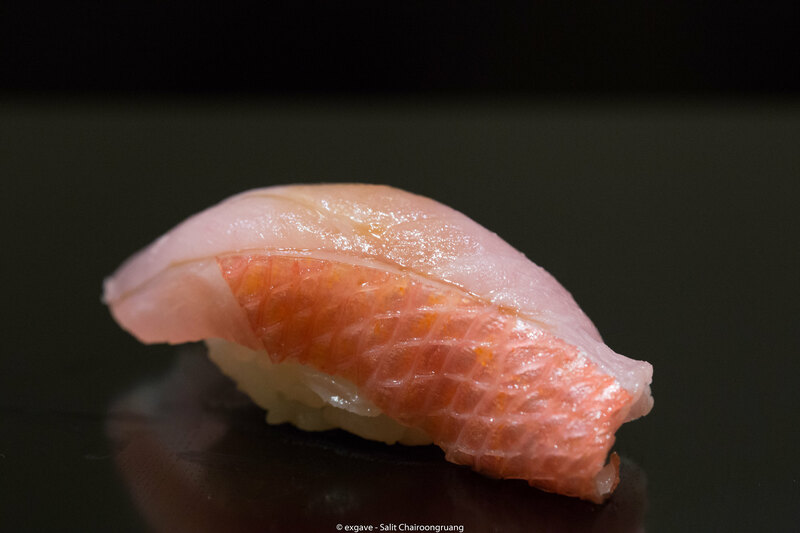 The first nigiri was a white fish which was light and aromatic. Following by Kohada, the piece that usually used to judge the itamae. It was so deep in flavour without any fishy smell. Love it!!! 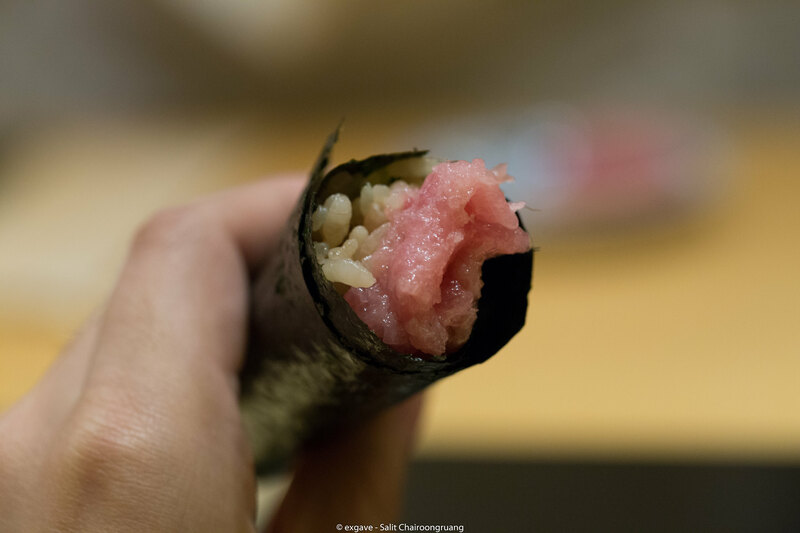 My favourite neta, kinmedai was served next. Unlike Sushi Masato, Misaki-san didn’t light torch the flesh of kinmedai. But this kinmedai was top-notch. You can smell with sweetness and sea breath from the neta which was very subtle and delicate. Akagai and shima-aji both were of good quality. 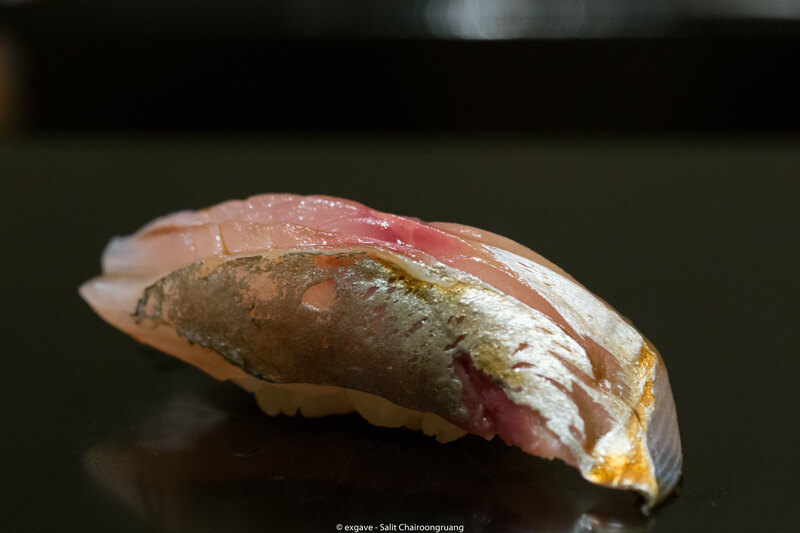 Next were the trio of maguro: akami, chu-toro and otoro. These bad boys were stunning. 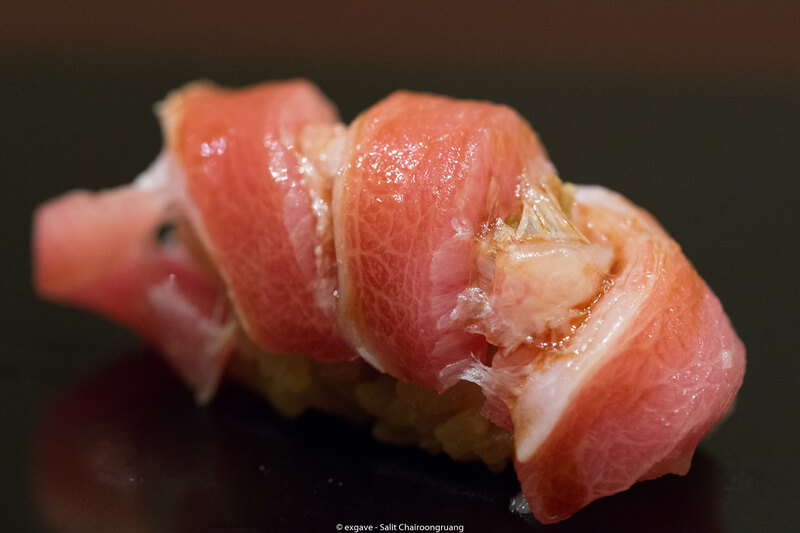 Especially otoro, it blew me away. The fat marble was just about right. 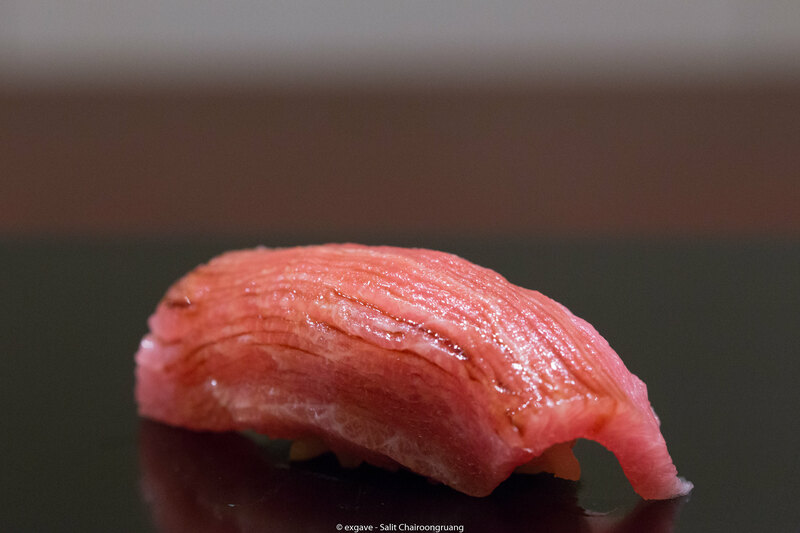 What a delicate piece of otoro it was. Kurumaebi was sweet and firm. Next was hotate nigiri but this is not your everyday hotate. This hotate came with sticky sweet sauce instead of traditional shoyu. It was so wonderful. Sweetness from the sauce surprisingly matched with hatate. Anago was placed down accordingly. 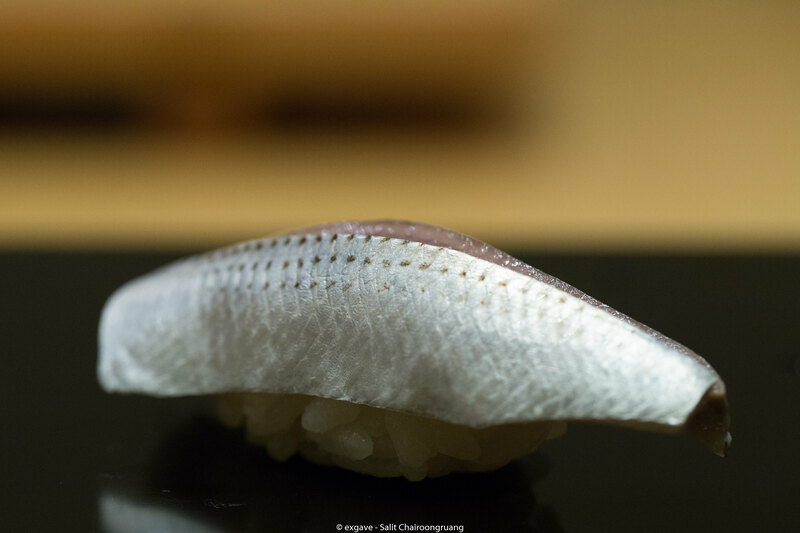 As always, the anago was butterly smooth, sweet and tender. Then Misaki-san’s signature toro temaki was handed to me. The warm shari melted down the fatty chopped toro beautifully. Well well well. 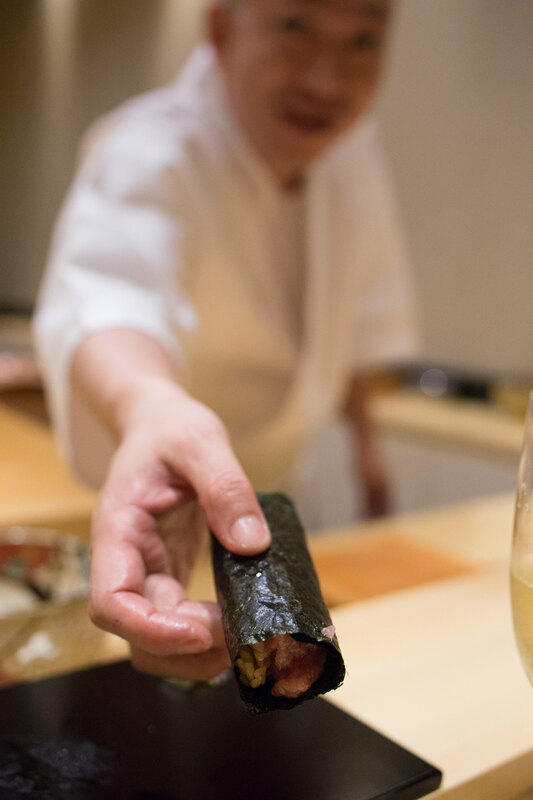 The omakase won’t be a complete one without the amazing tamagoyaki. His style is a brulee tamago. Basically, it is a castella-tamagotaki then dust with icing sugar then lightly torch it. His tamago is the best in town so far imho. The texture was smooth without any sign of air bubbles. In term of flavour, it was so delicately sweet and savoury. 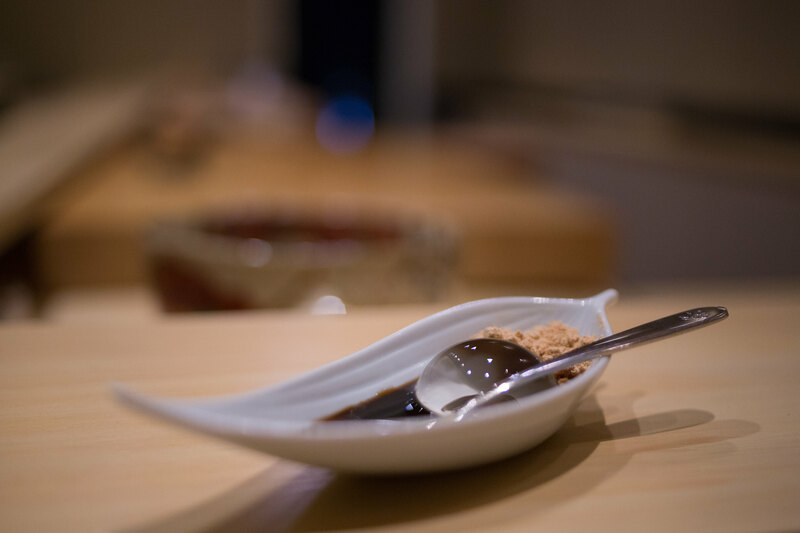 To end the meal, Misaki-san served a raindrop cake with brown sugar and kuromitsu. It was a fine dessert to end this amazing omakase. A must place for Edomae sushi lovers in Bangkok indeed.